Kids will love to hit him, safer than hitting Dad! A great exerciser, and energy zapper to get your kids off the Playstation. Made from high strength plastol for durability. 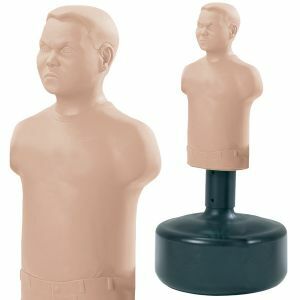 A great martial art realistic training partner that won't hit back! Two height adjustments from 4ft2 to 4ft7. Cleans easily and comes with a one year guarantee. Please look out for cheap copies of the BOB XL, BOB and BOB Junior. If it does not carry the Century logo then it is not an official BOB!